By the Lifeboat Foundation Scientific Advisory Board including Maria A. Blasco, Steve Hill, and Elena Milova. This is an ongoing program so you may submit suggestions to [email protected]. The LifePreserver program is designed to bring you the latest information about aging research and the progress towards treating age-related diseases. This program also aims to bring you practical information about the steps you can take now to slow the aging process and delay the onset of age-related disease. Hopefully by taking these measures you can increase your chances of being in good health when more robust life-extending and life-enhancing technologies become available over the next couple of decades. 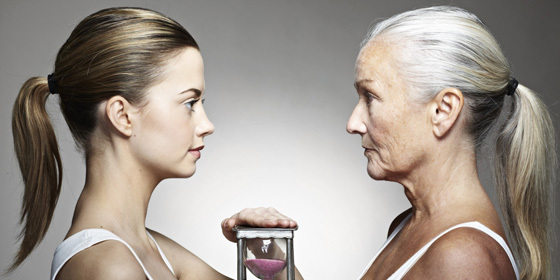 People talk about aging a lot, but what do they really mean and what exactly is aging? According to modern science, aging is the accumulation of damage/error that the body cannot completely eliminate, due to the imperfections of its protection and repair systems. As a result, bodily functions start to deteriorate, leading ultimately to the development of age-related diseases, such as cancer, stroke, type 2 diabetes, heart diseases, Alzheimer’s disease, osteoarthritis, osteoporosis, and others. Aging is made of a number of distinct and connected processes that collectively produce the phenomenon we know as aging. Many people think that aging is too complex and too large a problem to do anything about it, however, as with any large problem the best approach is to divide the problem up into actionable pieces. When problems, no matter how large, are broken down in this way it becomes easier to understand how we might deal with them. Once you begin to understand the processes of aging it becomes possible to understand the ways we might intervene against them in order to treat and prevent age-related diseases, hence enabling people to live healthier lives for longer. To help you visualize what aging is, the aging processes are divided into distinct categories known as hallmarks, what follows is a simple summary of these hallmarks of aging. Genomic instability: Exposure to environmental hazards such as radiation, chemicals, or other toxic agents over time can damage our genome, as can things like DNA replication errors or oxidative stress. Evolution has given us a robust system of DNA repair mechanisms, however, DNA damage accumulates over the course of our lives, causing mutations in cells that can potentially lead to cancer. Telomere attrition: Like the plastic tips on your shoelaces, telomeres protect the terminal ends of our chromosomes from damage. The normal DNA replication mechanisms in the majority of our cells are not able to copy the ends of our DNA completely, so the repetitive DNA sequences of the telomere region shorten with each cell division. After a number of replications the telomeres become critically short and cell stop dividing — this reduces the ability of tissues to regenerate as we age. Epigenetic alterations: Have you ever wondered how our various tissues and organs can appear so different from one another, since our DNA is exactly the same in all cells in our body? This is because our DNA is modified with epigenetic information that activates or silences the expression of particular genes as needed by the different tissue types. For example, if a cell needs to become a lung cell, epigenetics ensures that the parts of the genome specific to lung cells are expressed, while the parts specific to other cell types are silenced. The aging process alters our epigenetic code, which leads to changes in gene expression that then cause normal cells to become dysfunctional. For example, in the immune system, this could change the balance between activating and suppressing the immune cells, causing our bodies to become more vulnerable to invading pathogens. Loss of proteostasis: In our cells, proteins are constantly being created and destroyed in a process known as proteostasis. Proteins are like tiny tools which have to be assembled correctly to perform their various cellular functions. An important part of that assembly is folding these proteins into the proper shapes. Various mechanisms help to stabilize and ensure proteins are correctly folded, as well as removing and destroying improperly shaped proteins which would otherwise accumulate and damage cells. Aging causes these mechanisms to become less efficient over time, This leads to the accumulation of misfolded proteins causing dysfunction or even cell toxicity as seen in diseases such as Alzheimer’s. Deregulated nutrient sensing: When nutrients are abundant, cells and tissues respond by storing energy and growing; when nutrients are scarce the body activates hormesis, a stress induced repair mechanism that aids survival. In the case of diabetes and obesity, cells are constantly exposed to abundant levels of nutrients, resulting in the cellular mechanisms that sense nutrients to become desensitized. Deregulation of the nutrient sensing pathway also occurs during the aging process, and as a result, cells do not respond properly to the signals that normally regulate energy production, cell growth, and other crucial cellular functions. 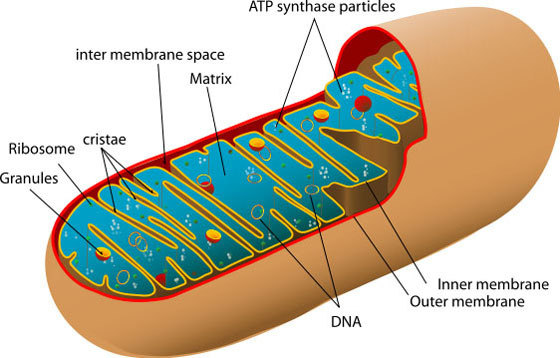 Mitochondrial dysfunction: Free radicals, also known as reactive oxygen species (ROS), are a natural byproduct of energy production by the mitochondria in our cells. Although they have a role in cellular signaling, in high doses free radicals can be harmful to the cell. The free radical theory of aging suggests that over time, increasing levels of ROS production damages mitochondria causing dysfunction, even more ROS production, and cellular deterioration. Mitochondrial dysfunction also appears to affect other cellular signaling pathways and functions. Ultimately the cell becomes increasingly poor at producing energy, and simultaneously, ROS levels rise, damaging the other parts of the cell. Thus, mitochondrial dysfunction is implicated in a number of age-related conditions such as myopathies and neuropathies. Cellular senescence: When cells receive enough damage, whether from DNA damage or telomere shortening, they enter a state of stable growth arrest known as cellular senescence. This is a safety measure to stop damaged cells from becoming cancerous, but it also prevents old, worn out cells from remaining in circulation. Normally the immune system removes these unwanted cells but as we age the immune system stops removing them and their numbers grow. Senescent cells secrete pro-inflammatory signals that damage the cell and can even cause nearby healthy cells to become senescent too. This leads to chronic tissue inflammation that contributes to conditions like osteoarthritis and kidney dysfunction. This means the safety measure protecting us in youth from cancer actually fuels the aging process as we grow older. 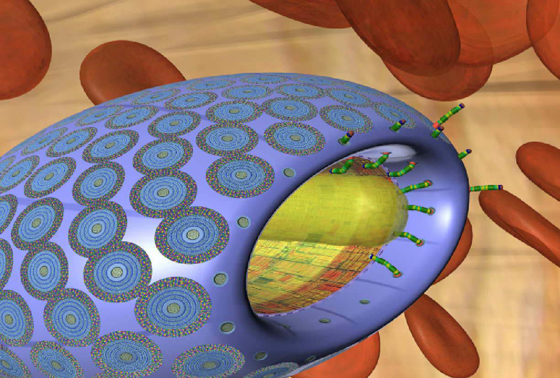 The microbivore, an artificial white cell, floats along in the bloodstream until it encounters a pathogen. This is one of the radical life-extending and life-enhancing technologies that could cure cellular senescence in the next couple decades. Courtesy, Zyvex Corp and Robert A. Freitas Jr. Stem cell exhaustion: One of the most obvious consequences of growing old is increasingly poor recovery from injury. This is caused by a decline in the ability of our stem cells to replace damaged tissues. Your stem cells spend most of their time in a dormant state in their niche, but when they are awakened to heal wounds and restore tissues, they also become susceptible to telomere shortening, DNA damage, and cellular senescence. Over time this results in stem cell exhaustion as the pool of stem cells runs out. Altered intercellular communication: To grow and function normally, our cells need to constantly communicate with each other, secreting signaling molecules to their neighbors or even sending molecular messengers through the bloodstream to distant cells and tissues. Aging alters not only the signals that are sent by cells, but also the ability of cells to receive such signals. This dysfunctional communication leads to chronic tissue inflammation, failure of the immune system to recognize and clear pathogens or dysfunctional cells, and also reduces the ability of stem cells to repair tissue due to being inhibited. Can we address these hallmarks to prevent age-related disease? The weight of scientific evidence is increasingly suggesting that yes, we can likely intervene directly on these processes in order to combat age-related diseases. While our knowledge of the aging process is not complete, it has reached the stage where meaningful progress is being made towards interventions. In some cases, such as senescent cell removal (senolytics) and stem cell therapies, that progress is already well advanced and entering clinical trials. There are solutions to each of these hallmarks of aging and it is really only a matter of time before practical therapies are developed to address each one. This would result in better ways to treat age-related diseases and potentially leading to healthier, independent, and longer lives for everyone. 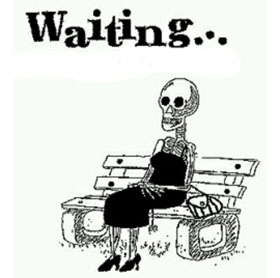 OK, so what are we waiting for? There are a number of bottlenecks for us to solve if we are to succeed and deliver powerful therapies that directly address the aging processes in humans. Lack of scientific knowledge on the aging processes and potential ways to address them. Knowledge like this is usually born in the field of basic science. The studies of this type are high-risk ones (they are intended to find out what works and what doesn’t), the positive result is not guaranteed, and even if the scientific group is lucky enough to get a positive result, these studies are usually done in cells or in animals — and never in humans. There is no final product one can start selling after the study, which is why business is not very keen to fund this type of research: technically, this is a donation, not an investment. Here is the dilemma: the knowledge created in these studies is crucial for us to progress to the drug development stage, but there are not many people who aspire to become philanthropists and save the day for the whole of humanity. Normally it is the government who finances basic science, but breakthrough projects have less chance to get support. It is true the state is funding research institutions and awarding research grants. But research on aging is relatively new and therefore there are not many experts among the decision-makers in the grant system who can assess the breakthrough projects aimed at the hallmarks of aging and truly understand their potential. This is why these kinds of projects have less support from the government than the mainstream studies of a single disease like Alzheimer’s or cancer. Without appreciation from the government and support from business, the field of aging research can only rely on one funding source: the general public. The number of ardent supporters of aging and longevity studies is relatively small due to slow information dissemination from the scientists to the public. Most people still believe there is nothing we can do about biological aging, and so they see these studies as researchers simply feeding their scientific curiosity. Education regarding the plausibility and desirability to defeat aging takes time and a lot of effort. It cannot be done by the scientists themselves (as their job is to work in the lab, not to make shows), and here is where advocacy groups and science popularizers should step in. However, people tend to forget that the best results can only be achieved if a group is well-organized, disciplined, and uses evidence-based practices in all activities, from planning and management to crowdfunding, educating, and lobbying. Steady progress requires a mindful and responsible approach from each person joining an advocacy group — which is sadly rarely seen. If it is not the lack of hard-working activists that is holding progress back, then it is the wrong messaging. Many members of our community prefer to profess their desire for indefinite lifespans directly, shocking the public and making the whole movement appear to consist of radicals, daydreamers, and windbags. There are a number of sociological studies that show just how important it is to properly explain the connection between aging and age-related diseases, and the causal relationship between aging prevention, health improvement, and longevity — longevity being a side-effect of better health. Being patient and addressing concerns people may have in relation to longer lives is another important job which is rarely done properly. Despite the fact that most of these sociological studies are available to read and have even been summarized by different members of our community, many people still insist on using counterproductive radical messages, provoking additional skepticism and closing doors that would otherwise be open. We all strive to be healthy and independent for as long as possible, to do more things we love together with people we love. Remember, humanity has made significant progress in defeating communicable diseases in less than a century. Our knowledge is expanding and we could become the first generation free from age-related diseases — if only we set such a goal, and make an effort to reach it together. Bringing aging under reasonable medical control is not an easy thing to do, but if we divide the problem up into actionable pieces, and if we are serious about getting our piece done, we will have a chance to build a better future for everyone. A future where every person on the planet could enjoy healthy and productive life at any age.